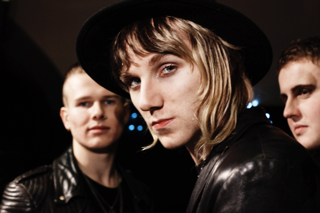 As the release date for Darlia's mini album 'Petals' draws ever closer, the band have unveiled its full stream on Soundcloud. Bringing together their head-rushing sounds from previous singles the Blackpool trio have included a new recording of debut track Queen of Hearts along with two special acoustic versions of Pandemonium and Candyman. You can stream the full release above now with details of their forthcoming tour dates listed below. 'Petals' will be released Monday 23rd February through B-Unique Records.